Each year in college brings new experiences and new challenges for students. Your job as a parent is to continue to appropriately guide from a distance even if that means taking on a new role yourself. A colleague who is also a therapist told me a few months ago that the sophomore year, specifically the spring semester, is the hardest for many college students. “Why?” I asked, even though I had my suspicions. She said that after three semesters of college (two semesters the first year and a third the fall of their sophomore year), some students find that they fall through the cracks, not freshmen any more and not yet on the road to completing their degree and moving onto the next phase of their lives. 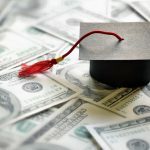 Although I work primarily with first-year students and help them with the transition, I am beginning to research other college transitions, and this colleague’s comment piqued my interest especially since many colleges and universities see dramatic losses between the sophomore and junior years, which often results in low graduation rates. According to this colleague-therapist’s work with young adults going through these transitions, she sees that college sophomores in particular often feel unsure of their next steps or feel trapped by the decisions they have made in the past. 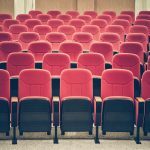 Some are concerned about their majors and future career paths; others are concerned that their college career is not going as well as they had hoped. I imagine that each year brings a new set of challenges as well as opportunities to develop self-confidence and problem-solving skills. Our jobs as parents during these times is to continue to appropriately guide from a distance even if that means taking on new roles ourselves. Here are a few potential challenges that college students may face each year and what you can do to continue to provide the type of support that will help them become the mature, self-sufficient adults we want them to be. And that is what we want them to be, right? Ask questions that focus on the positive. What do you like about your classes? What are you doing for fun? These questions can flip the script if you have a student that wants to focus on what they may be missing about home and their friends from high school. Suggest they seek help by using campus resources. Every first-year student needs a nudge every now and then to use the resources they have in front of them. Not used to asking a professor for help? Consider coaching them on what to say and how to say it. Not used to taking themselves to the health clinic when they don’t feel well? Remind them that a check-up can keep them from feeling miserable (or worse). Offer advice only if they have sought expert advice first. This is especially true if you are not sure what they should do or if it has been awhile since you were in college. Things have changed and what worked for us in college, may not be the best pathway for our students. Ask about their courses. Many students are finding their “groove” with their classes and realizing why they enjoy different professors and subjects. What are you learning about that interests you and why? This is a good question to help your student dig deeper into the experience. Ask about the opportunities to learn outside of the classroom. The sophomore year is a good one to start the planning process for study abroad and internships. In some cases, deadlines for applying for these programs occur during the second year, especially if the experiences are competitive. Ease fears about choosing a major. If your student is undecided, or “still deciding” as we like to say, about their major, remind them to talk to advisors and faculty about their interests. They may be under pressure to make a decision in their second year, but we know that most students change their major with little consequence. Suggest they take a career assessment. Career services on campus often have assessments that students can take to begin the process of matching a degree or major to a career. If your student is still exploring, suggest they make an appointment to start the conversation. Encourage them to seek out faculty and staff mentors. Your student’s third year is a good time to develop deeper relationships with faculty and staff. They will need additional guidance through graduation (and beyond) and recommendation letters and references. Suggest they find ways to build real-world job skills. If they have not worked during college or during breaks, this is a good time to take on some employment or even non-paid internships so they can build the very skills they will be judged on when they graduate. Yes, employers want to see relevant college degrees, but they also want to see that future employees have some experience. Help them develop a concrete plan for at least the first year after graduation. Where to live, what jobs to apply for, whether or not to go to graduate school, and what kind of lifestyle expectations they have are all good subjects to discuss. And be prepared to have the conversation multiple times as their plans may change from month to month. Encourage them to network. Maximizing their current networks in college (e.g., they may be part of a student organization) as well as branching out to networks outside of college and within the field they want to be for a career are worthy activities when they are seniors. Interviewing people in the field could be a good first start on developing a network. 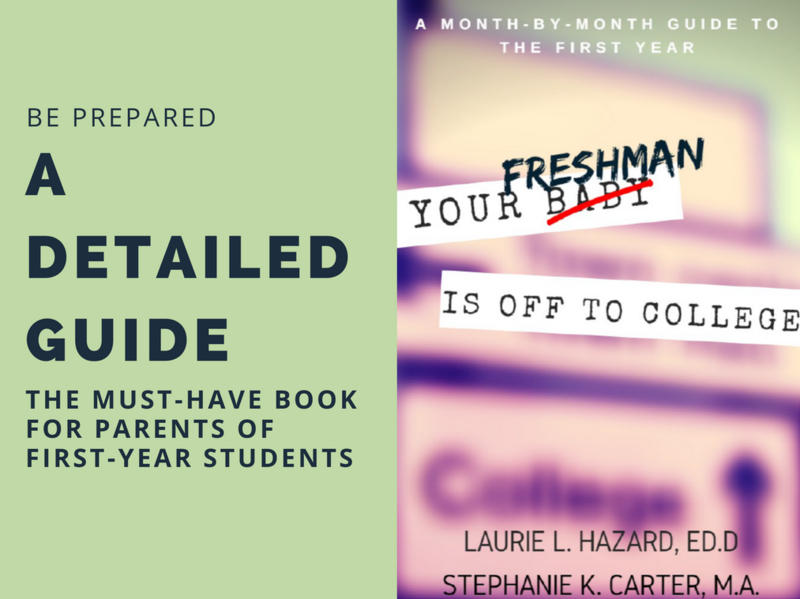 The college years go by fast, but they are a perfect opportunity for both parents and students to take on new roles and responsibilities at each stage of the process. Coaching your student to develop self-reliance as well as interdependence is important to their long-term success.